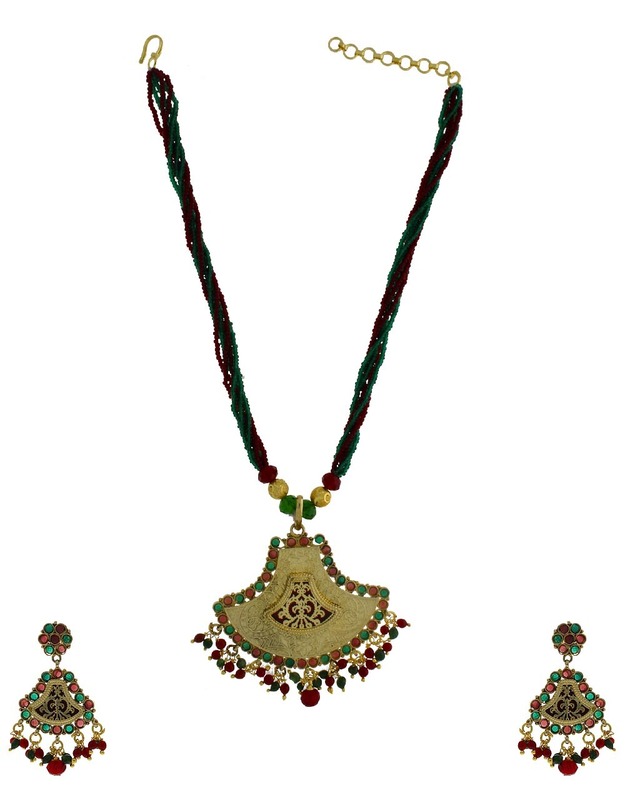 Anuradha Art Jewellery offers this maroon-green colored beaded artificial thewa necklace set for fashionable women like you. 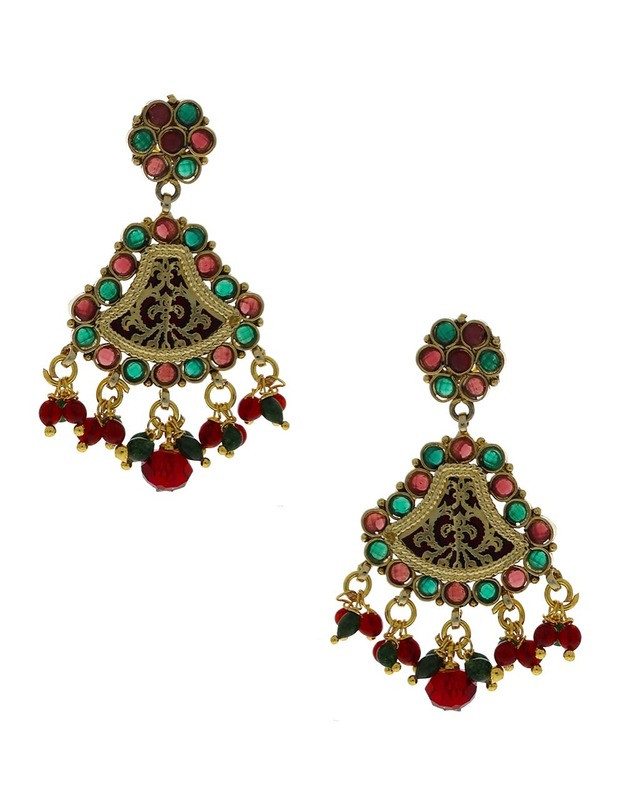 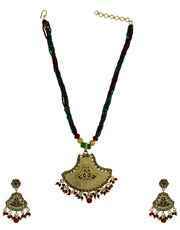 This set feature mina work & intricate carving for additional beauty. It is embedded with stones & crafted from golden polished metal.